If you’re going grocery shopping today or in the next few days take a few minutes to read this piece on how to color your grocery shopping cart. Don’t just pick out the beiges and browns from the cereals, processed foods or cookies section. Mix those colors and make a rainbow to get better health and keep those harmful body busters in check. Here is a helpful summary to help you color code your shopping list. The general rule is: the darker the hue the greater the phytochemical concentration. Phytochemicals are just naturally occurring substances in plants. Red and Red/Purple: The primary pigments are lycopene and anthocyanin. These are powerful antioxidants that lower blood pressure, reduce risk of certain cancers and are heart healthy. Also contain vitamins and reduce inflammation. Some of these fruits and veggies include tomatoes and tomato products, watermelons, eggplants, blueberries, plums, and pomegranates, among others. Green and Yellow/Green: Main pigment is chlorophyll and lutein. They assist the body in removing harmful carcinogenic compounds, a great vitamins source, folic acids (vital for pregnant women), iron, omega-3 fatty acids and potassium. Help in blood clot formation, reduce risk of colon and bladder cancers, and are eye healthy. Avocados, broccoli, cabbage, Brussels sprouts and other leafy greens are under this category. Orange and Yellow/Orange: These are rich in beta and alpha-carotene and vitamins C and A. Good for eye health, immunity, skin and bone health. They’ve been labeled the ‘eyesight foods.’ Top on this list are carrots, sweet potatoes, mangoes, pumpkins, apricots, and cantaloupe, among others. 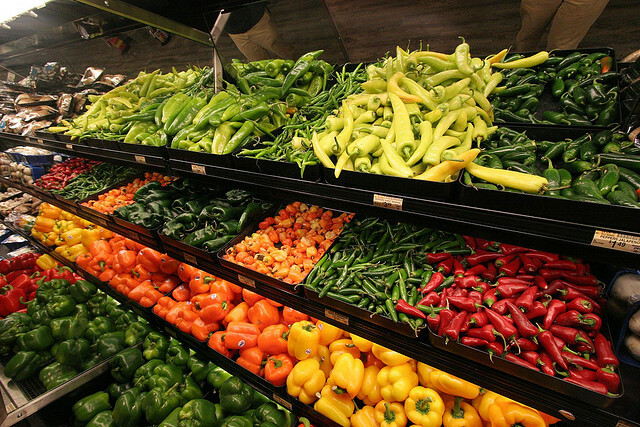 Next time you go grocery shopping head straight to the fruit and vegetables section and pick out a mix of colors. Balance the colors in your shopping cart and gain some overall wellness. Have a colorful cart today, won’t you?